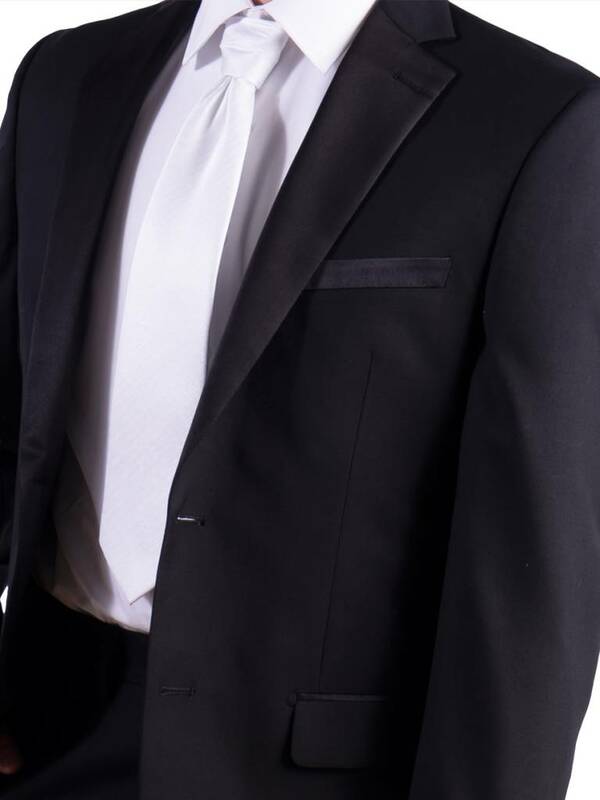 Boldly conquer your special day in our timeless classic black tuxedo. It’s expertly tailored to make your formal ensembles stand out. 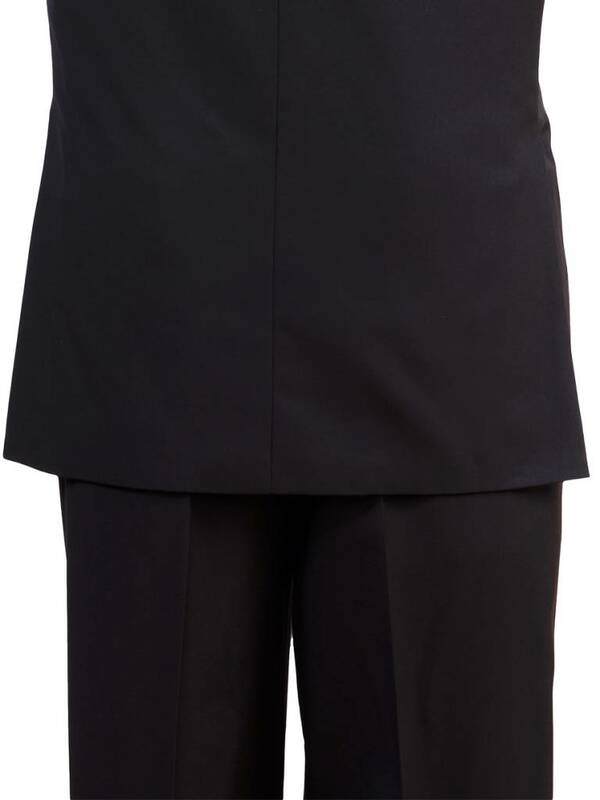 Constructed from a blend of polyester and rayon, this suit provides a classic or slim fit of your choice. We finish the jacket with a traditional notch lapel collar, styled with a contrast shine, two-button jacket closure, and 36” inseam, unhemmed trousers. We are pleased to equip you and your groomsmen with our wedding day survival kit! 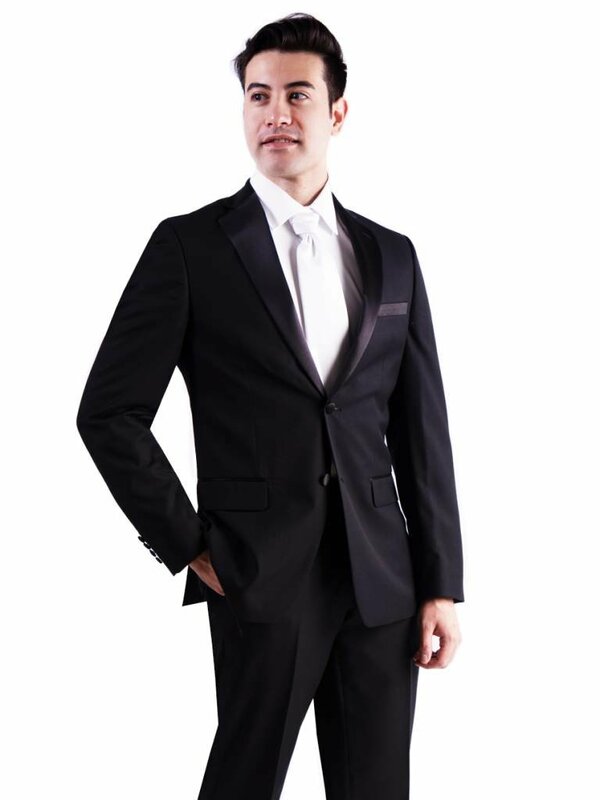 The Classic Tuxedo package starting at $180, is delivered thoughtfully to your door and includes a tuxedo, trousers, shirt, and tie of your choice. In addition, we provide a checklist, hanger and garment bag to make your wedding day wrinkle-free and hassle-free. Simply customize your fit, choose from the sizing guide, order, and voila! It’s yours to keep forever.